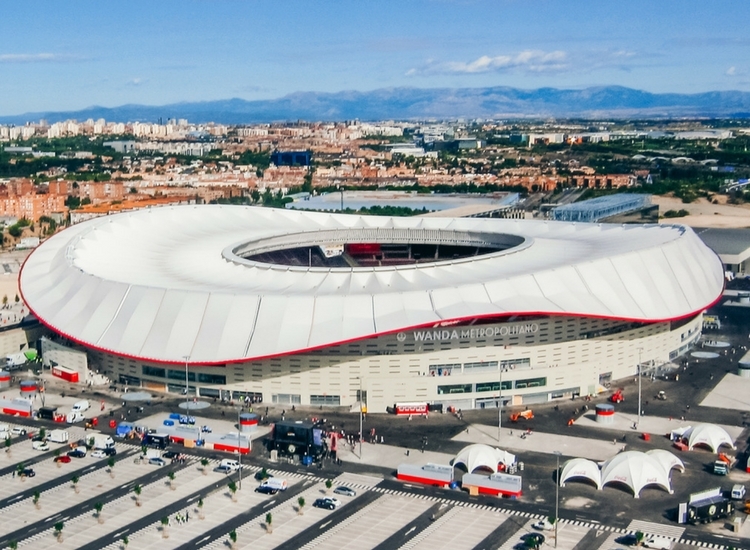 September 2017, Taiyo Europe GmbH completed Wanda Metropolitano in Madrid, Spain. Known by its previous name “Estadio Olympico de Madrid” (aka La Peineta), the stadium is home to Atletico Madrid (soccer club team of Liga Espanola). 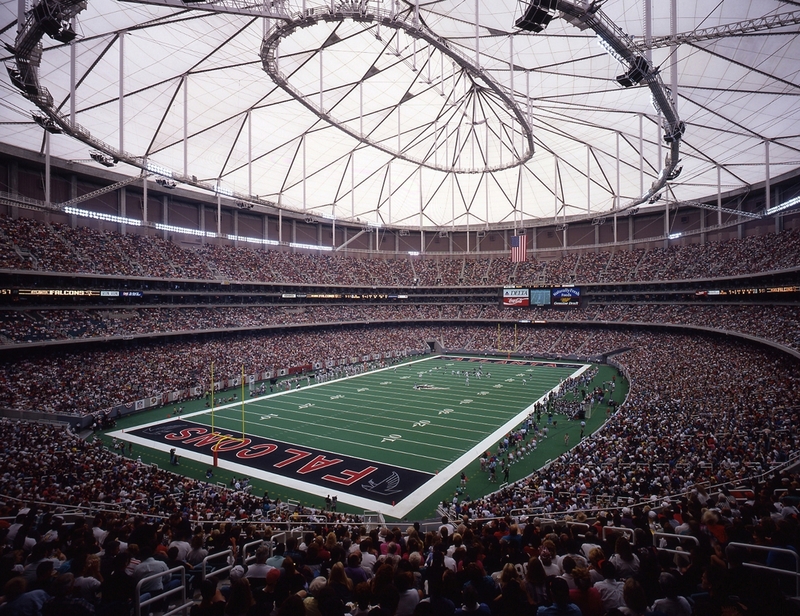 Plans to relocate the stadium began in 2008 and the newly completed stadium increased its seating from 20,000 to more than 67,000. The project team included Cruz y Ortiz Arquitectos (Spain) as the architect, Schlaich Bergermann partner (Germany) as the engineer and Fomento de Construcciones y Contratas (Spain) as general contractor. Taiyo Europe GmbH participated in the engineering, fabrication, and installation of the PTFE membrane and cable nets. The cable net is consisted of 96 radial cables and 2 tension rings. First, the cable net was assembled on the ground level and connected to the compression ring/ tension ring. The hydraulic jack was installed onto the tension ring side of the radial cables, a method unique to this project. Then, the hydraulic jack was used to lift the cable net into the air. 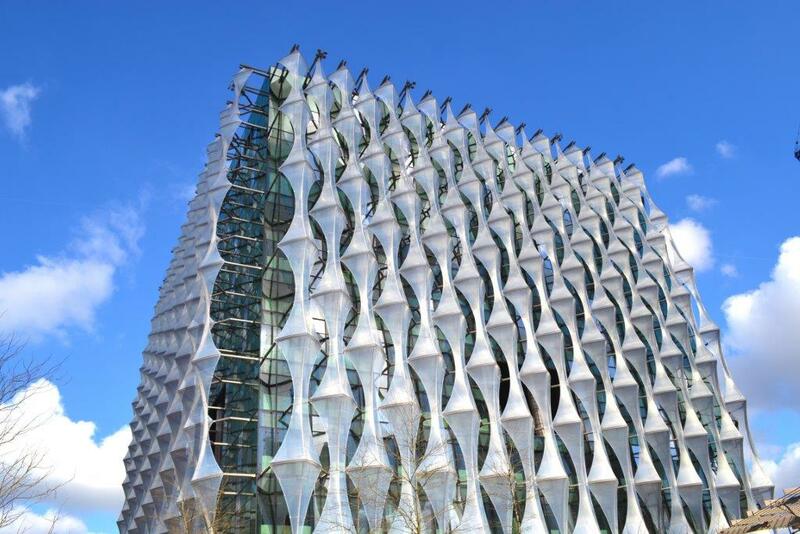 700 membrane panels, each with differing details and connections, are joined together to complete the roof. The main panels, which are approximately 400 square meters each, are stored on the compression ring and expanded 50m above ground for installation to the radial cables. The upper side of the roof is cladded with solid PTFE membrane material, while the underside is cladded with PTFE open mesh membrane material. 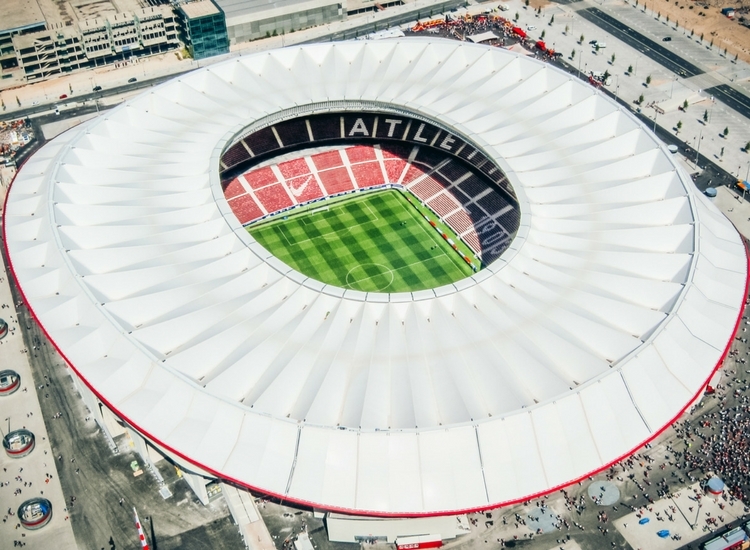 The entire compression ring, as well as the cantilever roof hovering outside the main stadium bowl, is also covered in PTFE membrane material, resulting in a total of 83,000 square meters. The membrane roof reflects the noise created from the pitch and the stands back into the stadium, creating an amplified experience for the fans and players. 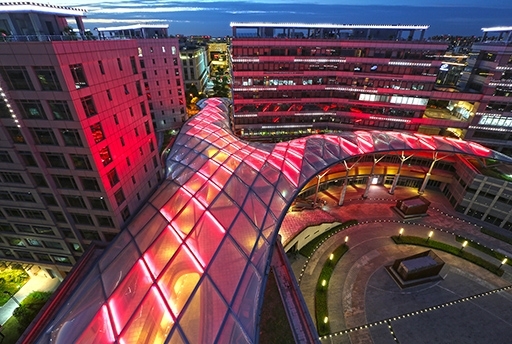 The stadium was officially named Wanda Metropolitano after Wanda Group (China) acquired the naming rights before completion, and was opened to the public. The stadium is set to host the 2019 UEFA Champions League finals.